If you are looking for a Content Management System that is highly user friendly and appealing for your website, then you must go for Drupal website development. Drupal is an open source platform with highly advanced features that provides an eye-catching appearance to your business website. It is also best known for its automatic management and control that gives benefits the owner with less maintenance costs. So its important for your business to hire drupal developer. If you hire Drupal developer team of ours, your website is going to benefit in many ways like less maintenance costs, great usability, amazing features, quick website loading, easily visible in search engines, etc. Moreover, at our desk we are focused to hire Drupal developers who are professionals and well experienced and who takes each task as a dedication. 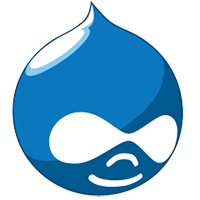 We offer affordable Drupal CMS development with a fast turnaround time. Why should you hire Drupal Developers from us? If you want to direct submit your requirement regarding drupal website development click here.